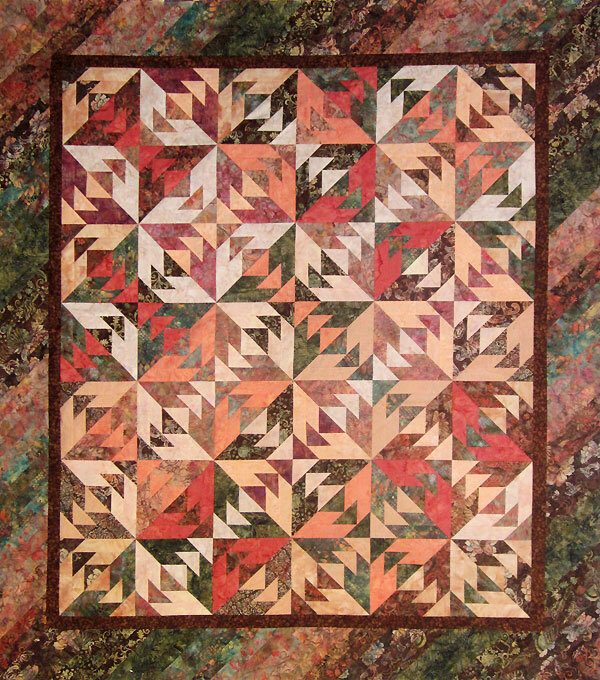 Indian Summer was designed as a tool to teach foundation paper piecing in an afternoon class. 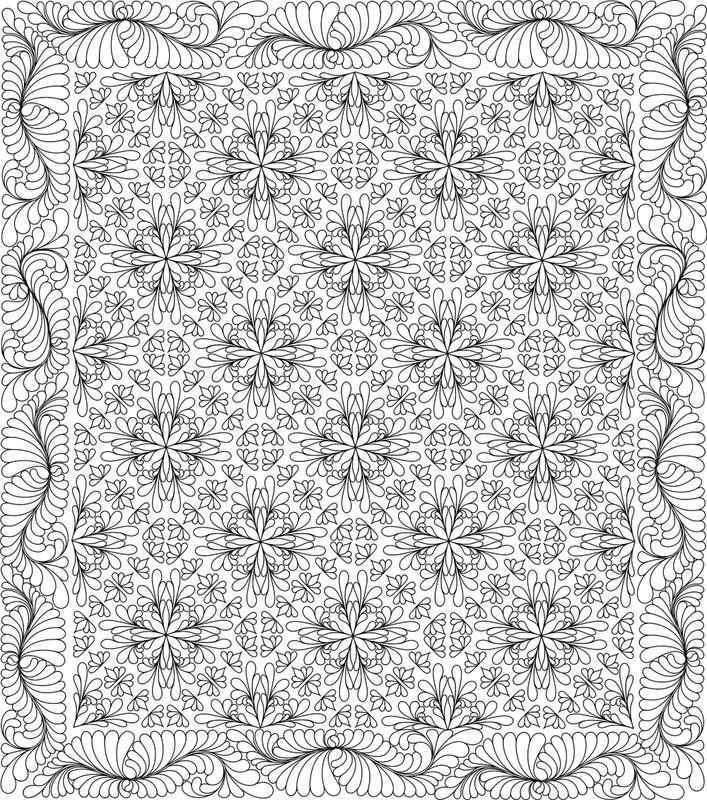 I wanted to design a quilt that did not require figuring yardage, or picking out color. This quilt is surprisingly fun and simple to make. Claire Chilton What an interesting pattern and lovely choice of fabrics and colours! Arlene Boline Is the pattern available? Ann Troutman I love the choice of colors. Very dramatic! Thanks for sharing. Judy Schmidt Beautiful! Love the colors! Pamela Bergen Very nice Julie. Leila Rice Can this be made using a jelly roll? I love it! Anne Brennan I like the border. Meredith Krol Love the rich colors for this. 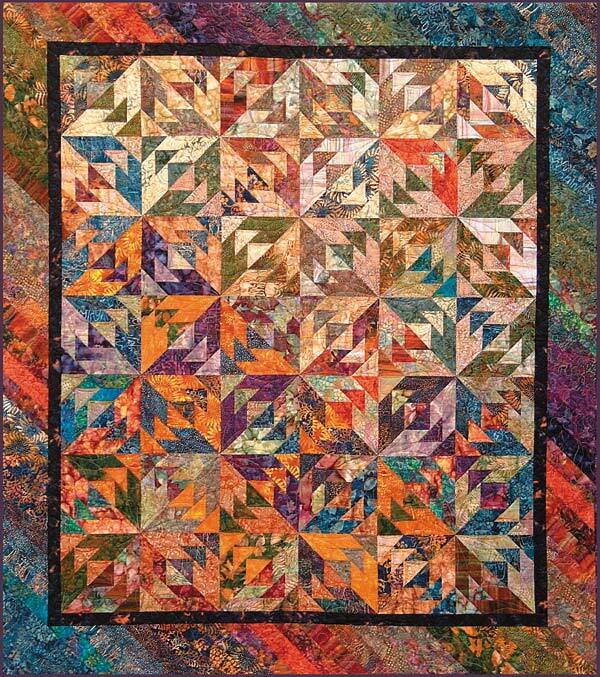 Jodene Cook I must add this quilt to my list of must dos!! Susan Brown Love this?? The Quilter's Market in Tucson, 520-747-8548, has kits for this!! Give them a call!! Memorial To Jan Bressler Love seeing results from our students! Great job Dilly! Marilyn MacEwen Nice matchup of colors. Jan Daniels Love all the Greens! Candy Nelson Yay!! You are famous!! Beth White Wonderful and perfect! Great job! Quiltworx.com I was talking with 35th Ave Sew & Vac at Market this weekend, and I know they still have some kits in this colorway if anyone is interested! Mary Inman-Freund Jane Lowry I think I need to make this!! Brenda Barnett Retzlaff Nice job with the fall colors. Nancy Carpenter All fall colors love them. Aleta Ferguson Stunning - Can I purchase the pattern? Nedra Allen Where is the pattern available? Ellen Warren Kauffman Fifty thumbs up on your fabric selection! That is just beautiful!! 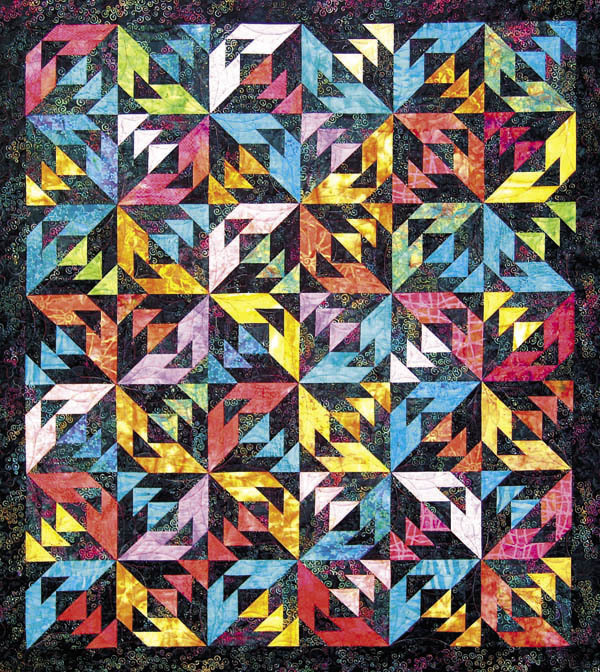 Anne Marsaw I don't care for most Quilt Works patterns, but this one is exceptionally pretty! Nancy G Smith Beautiful quilt! Whereabouts are you Helen? My significant other has the same last name! Diana Allen Very pretty, great colors! Sharon Binfield Roxanne Thiel this is beautiful!!! Bonnie Clark My favorite colours!!!!! Stunning! Joyce Jados Wow!! The colors with this pattern is amazing! Mary Grusauski Nuts for this one and the colors! Bret N Michele WOW!!!! Love this! Dee Jenkins Outstanding!!! Love it!!!! Wendy Kay Hiles Burnett Oh my gosh!!! That is so beautiful!!!! Just so beautiful!!! Joanne Emerick Oh, that's beautiful! Mickey White This is an amazing quilt ! Bessie Bennett this is really nice, and color is popping out all over it. Nancy Russell Oh that's beautiful! !